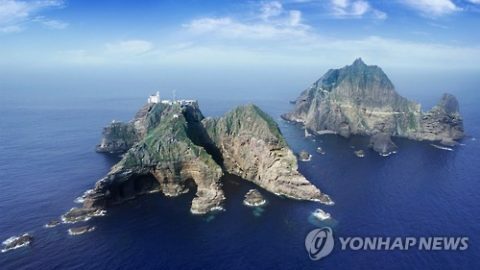 SEOUL, Aug. 7 (Yonhap) — A Japanese state textbook shows that the country hadn’t laid a territorial claim to Dokdo, a group of small islets in the East Sea, at least until in the late 19th century, in the latest piece of evidence that gives an upper hand to Korea in the territorial dispute between the two neighbors. 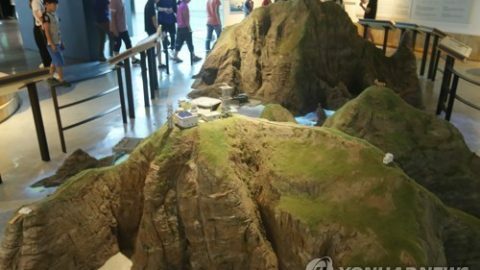 At the monthly seminar on Aug. 3, organized by the Seoul-based Northeast Asian History Foundation, Han Cheol-Ho, a history education professor at Dongguk University in Seoul, unveiled a new piece of information on Dokdo from the Japanese geography textbook published in 1886. 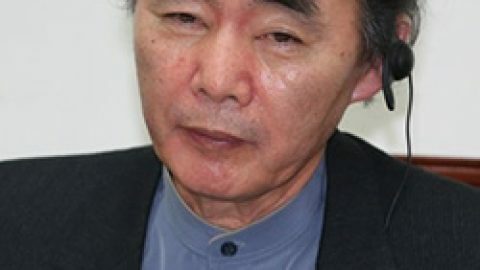 The state-authorized textbook in question was written by Japanese scholar Matsutaro Okamura, who is believed to have taught in a Japanese school until the early 1910. 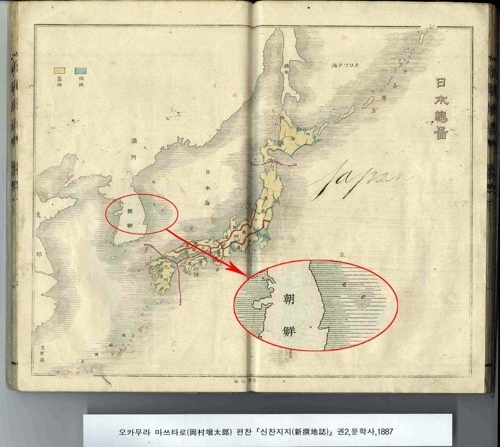 In the book’s map on Asia, while Japanese territory is outlined in red, the two islands — Ulleungdo and Dokdo in the East Sea — clearly remain outside its territory. 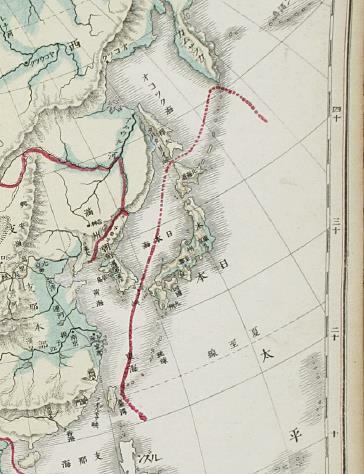 Marking its border as such is also found in another Japanese textbooks written by Manziro Yamagami in 1902 and 1903. 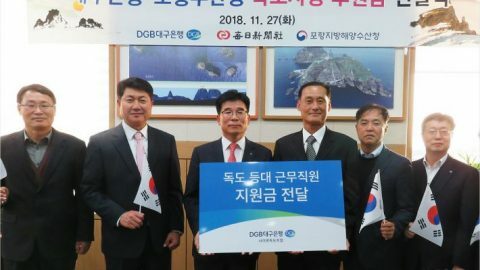 His claim is backed by another part of the book where all the Japanese islands are written down, but information on Dokdo is nowhere to be found, an important historical record that was already introduced to the Korean academic circle back in 2012. 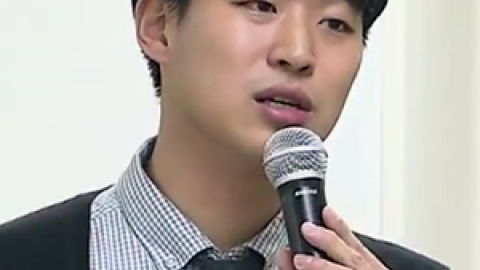 “The geographical textbook by Okamura was authorized by the state, which means it was not an opinion held by an individual but by the Japanese government,” Han said. 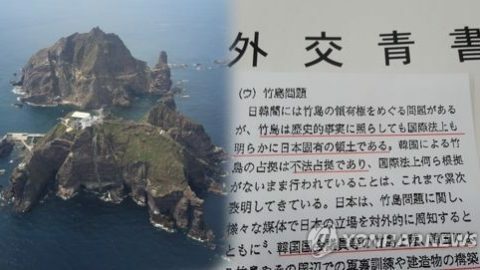 Another geographical book written by Okamura in 1892 is yet another example that contradicts Japan’s wrongful territorial argument on the Korean island, he added.